Most festivals in the industry may last a day or take up an entire weekend. Sometimes they’ll even carry over into the work week to bring extra entertainment to guests. If you aren’t an organizer, it’s nearly impossible to fathom the insane amount of planning that goes into bringing a successful festival experience to life. 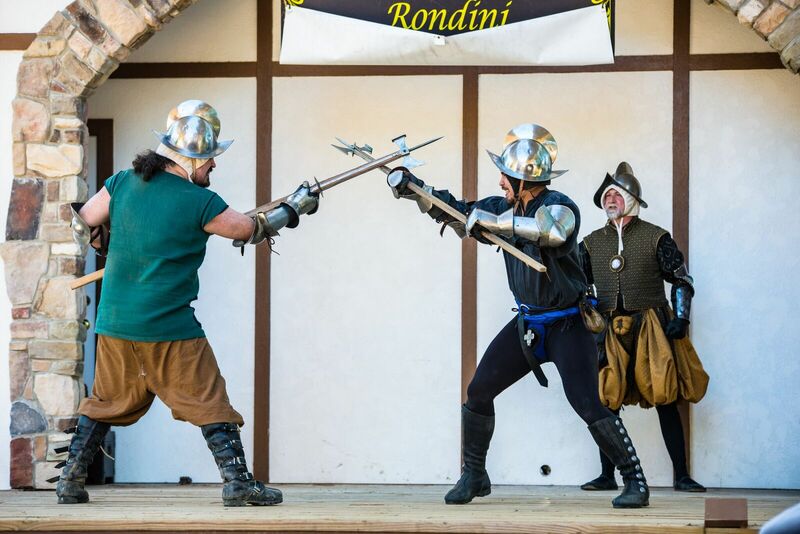 The long-running Texas Renaissance Festival in Todd Mission, Texas, knows a thing or two about tireless planning and determination, offering nine—yes, nine!—weekends’ worth of whimsical, medieval fun. That’s a lot of festival-ing for anyone, but that’s where the festival’s eclectic personality comes into play. Anyone who has ever wandered into a fairytale will tell you that no two experiences are alike. 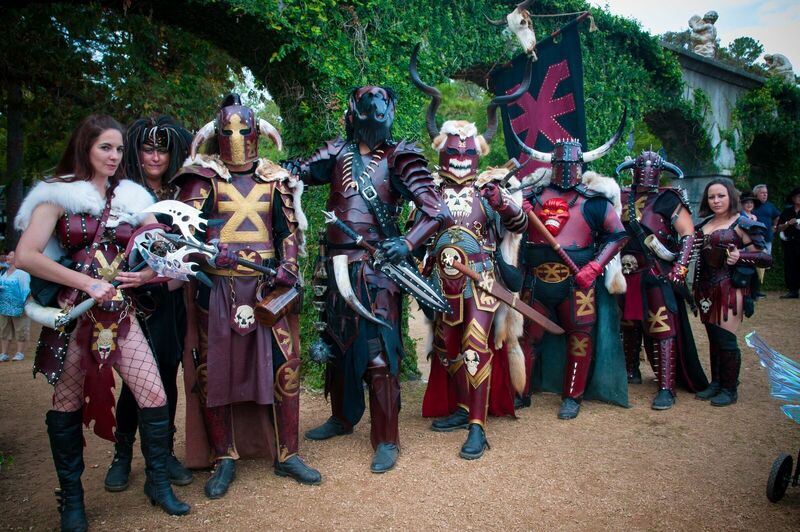 The Texas Renaissance Festival takes a similar approach by treating its royal guests to a different theme each weekend. Whether you attend a couple weekends or every single one during its run, you’ll be whisked away into a familiar, yet delightfully different universe each time. This royal festival experience kicks off nine weekends of fun with an Oktoberfest celebration, and what better way to start than a fresh stein full of suds? From the moment the keg gets tapped, the village comes to life with energetic polka music that you can dance to with your stein raised high in the sky. Those with a rumbling stomach will want to compete in the Bratwurst Eating Contest and then celebrate your victory (or valid attempt) with a trip to Arbor Haus Bier Garten for even more thirst-quenching beer. 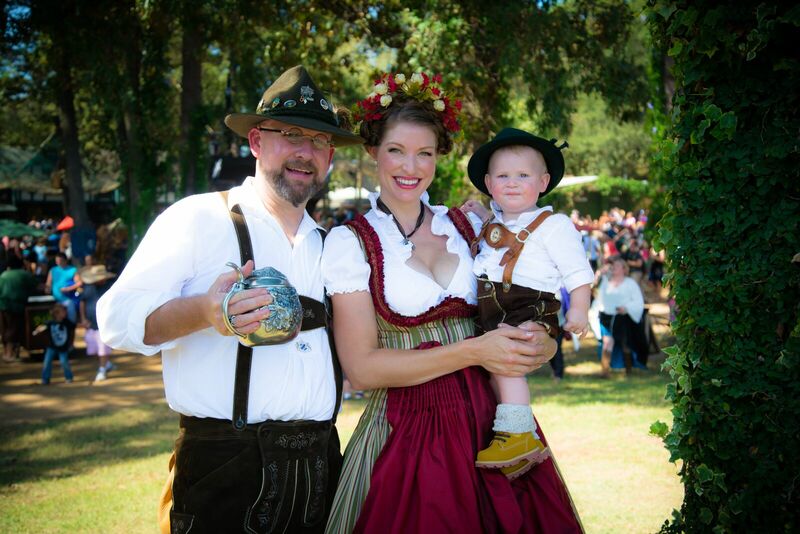 After a weekend of stein-clanking, bratwurst-eating and polka dancing with fellow festies, the Texas Renaissance Festival plucks you out of Bavaria and places you in the magical world of 1001 Dreams. Think of it as an escape from the stagnancy of daily life where fairies, elves and eternal bliss thrive. Dressed in vibrant costumes, legions of mystical characters descend upon New Market Village to remind you that magic indeed exists. Guests don their most magical garb to compete in the Fantasy Costume Contest, while those who want to channel their inner fire-breathing dragon prepare their bellies for the blazing Dragon Wing Eating Contest. Not all is right in the land of magic and make-believe. If you’re up to no good, the Great Horde invites you to storm the village and take what’s yours at the Barbarian Invasion. This dastardly weekend features Barbarian cloaks made of fur, outrageous feats of strength in a series of games and plenty of food and drink at the Barbarian Inn. Since Barbarians aren’t the most fashionable bunch, you might as well compete in the Worst Dressed Barbarian Costume Contest. After pillaging and snarling through the village, you’ve earned yourself a feast among Kings and Queens in the finger-licking Turkey Leg Eating Contest. Get 99% off your Weekend or Afterdark Pass with Everfest Premium. Pirates can be just as barbaric, especially when rum’s involved. 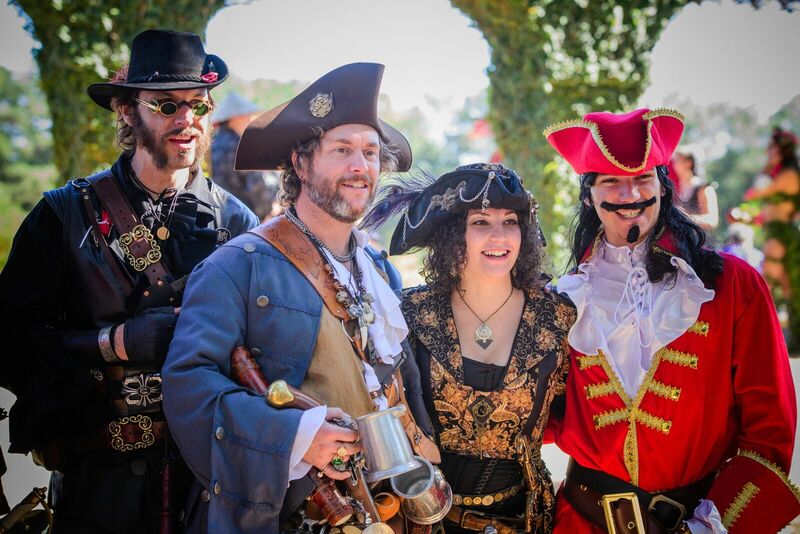 During this swashbuckling weekend, festies can hobble through the village and shop for handmade treasures at a host of unique vendors, take a swig of fresh ale at Sea Devil Tavern and sing songs of the Seven Seas with their crew. Following a similar pattern from previous weekends, there’s a Best Dressed Pirate Contest and a Fish-n-Chips Eating Contest. 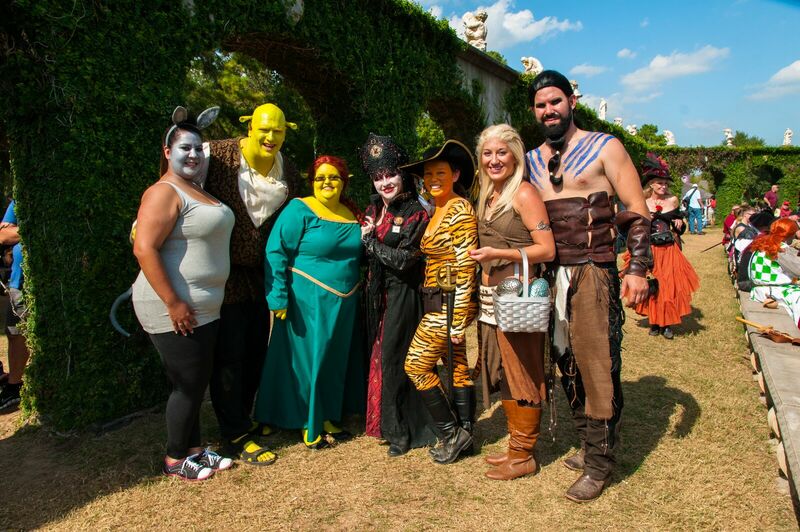 When Halloween rolls around, leave it to the Texas Renaissance Festival to scare up a good time with the All Hallows Eve-themed weekend, which features loads of spooky entertainment for all ages. 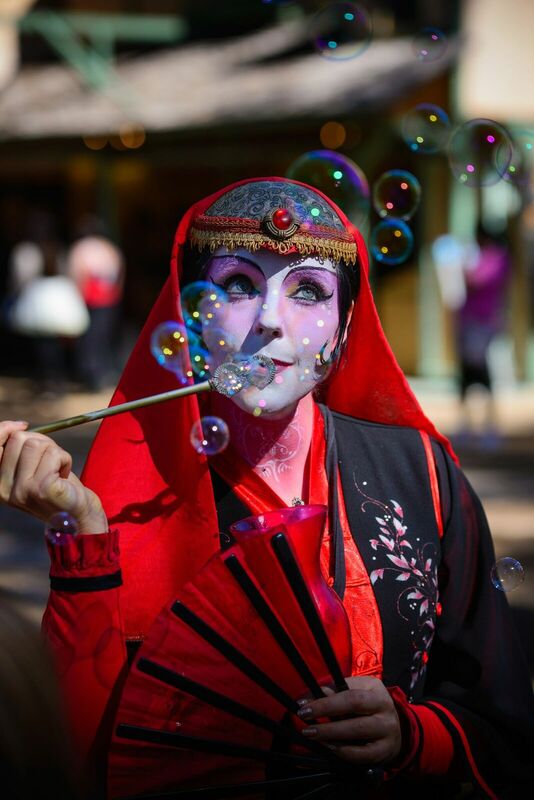 Throughout the weekend, the festival grounds are swarming with storybook characters, fantastical creatures and classic horror staples including zombies and vampires. Little ghouls and their parents can go trick-or-treating in the village to score some delicious sweets, while those seeking an adrenaline rush will brave through the haunted Slayer’s Castle. And, of course, there’s a wicked Halloween Costume Contest featuring the most creative, terrifying costumes lurking around the festival. “TOGA! TOGA! 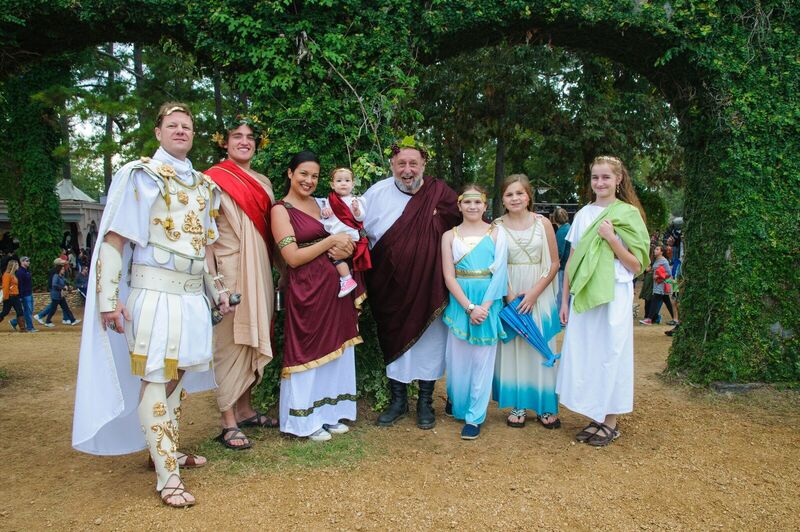 TOGA!” It’s time to wind the clocks back to an ancient era for the Roman Bacchanal weekend. Whether it’s a rousing game of Bocce ball, a saucy spaghetti eating contest, jugs of wine worthy of Dionysus, a slice of mouth-watering pizza from the Italian Village or treasures from the Florence Market, be sure to wrap yourself in your cleanest sheets and celebrate life as an ancient Roman. Hail to Caesar! The Heroes and Villains weekend features some sort of weird time warp where medieval knights, literary characters and comic book superheroes coexist. It’s not out of the question to see the likes of Thor, Darth Vader, Shrek and the Ghostbusters walking around the festival grounds. It’s essentially Comic-Con in a fairytale setting, with a Heroes and Villains Costume Contest showcasing the best of the best in cosplay entertainment. Get ready to geek out over insane costumes and seeing your favorite characters from literary history in the flesh. No need to book a flight to Scotland this weekend, because Scotland is coming to you for Highland Fling weekend. Throw on your most colorful kilt and join your fellow Highlanders in a dance to traditional bagpipe tunes, a Haggis Eating Contest and the Bonnie Knees Costume Contest. 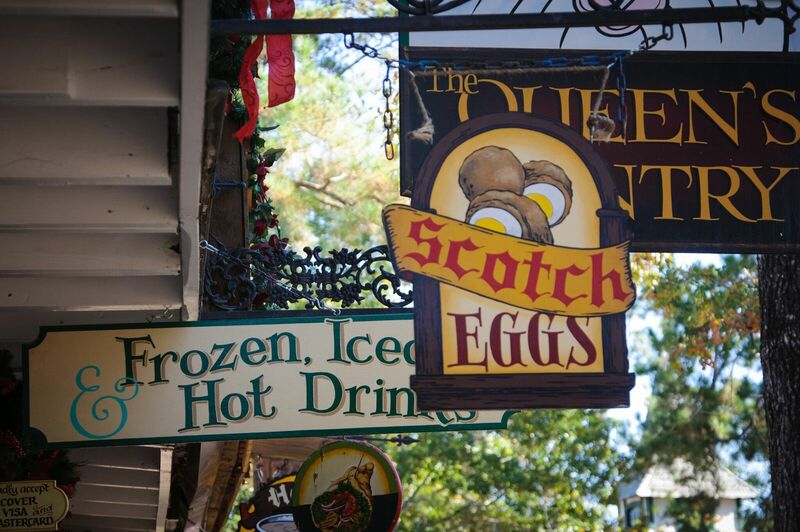 You’ll also stumble upon boatloads of unique, cultural gifts at over 400 shops in the village and will have the opportunity to feast on authentic Scotch eggs, a delicious gastropub favorite which consists of a hard-boiled egg wrapped in sausage meat. 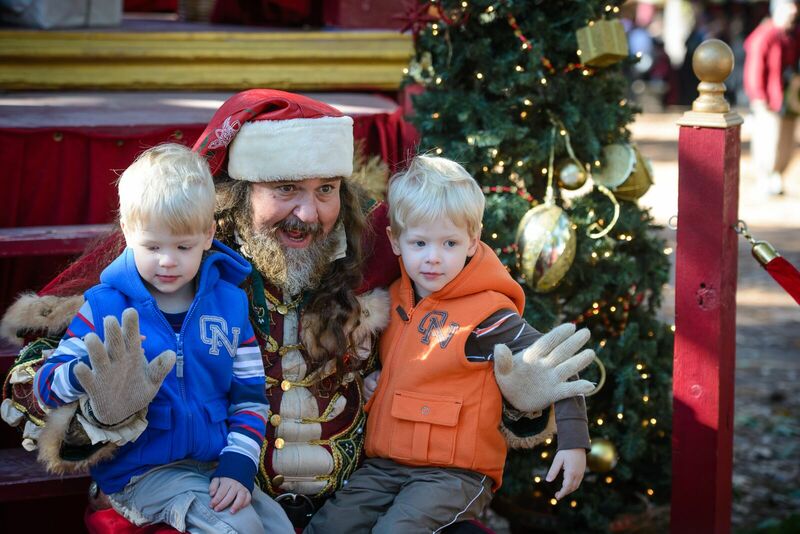 The Texas Renaissance Festival ends its glorious run with holiday cheer during the Celtic Christmas weekend. Ushering in the holiday season, the village is completely decked out in Christmas magic from traditional decor to singing carolers and Santa Claus (Father Christmas) greeting visitors at the gate. This winter wonderland also hosts a hearty feast at the Pumpkin Pie Eating contest as well as tons of shops selling gifts to help you get a head-start on Christmas shopping for your friends and family. This article was produced as a collaboration between Everfest's editors and the Texas Renaissance Festival.